If you’re new to the San Francisco area, it’s about time you knew that the city is home to some of the world’s most expensive properties. 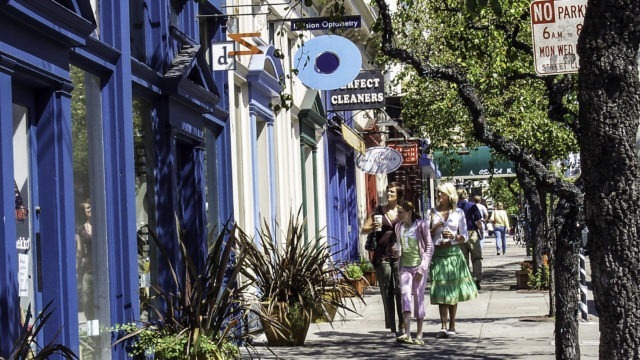 In San Francisco, you’re surrounded by ample neighborhoods and exceptional employment opportunities. And now, with all the luxury homes hitting the market, there are more stunning, historic, and enticing places to call your own in the city by the bay. This gorgeous neighborhood offers sky-scraping new lofts, positioned with residents in the midst of vibrant hubs of nightlife, culture, and opportunity. The 74+ unit lofts are just steps away from Bay Area employers like Google, Dropbox, and Genentech. In South Beach luxury homes, you may find maximizing views of the Golden Gate Park and San Francisco Bay — a definite advantage of San Francisco. This affluent, notable neighborhood in San Francisco featuring some of the finest and most expensive properties. Packed with regal mansions and prestigious buildings, Pacific Heights is where luxury is at. You may notice some elegant features in Pacific Height’s mansion hones, including rooftop terraces, infinity-edge pools, gas fire pits, and outdoor lounges. Now here’s another undeniably popular neighborhood brimming with modern restaurants, boutiques, and galleries. The luxury homes come with high-end features, divine finishes, and spectacular overlooks including the Bay, the Golden Gate Bridge, Alcatraz Island, the Palace of Fine Arts, and Angel Island, just to name a few. With competition declining in the mid-winter months, you shouldn’t be afraid to negotiate listing prices and meet the fullest of your luxury needs. Whether you choose to purchase a property in South Beach, Pacific Heights, Cow Hollow, or any other luxurious neighborhoods in San Francisco, we have your back! So, if San Francisco is where you want to buy your next luxury home, then contact Pamela Culp and see why we always choose San Francisco.